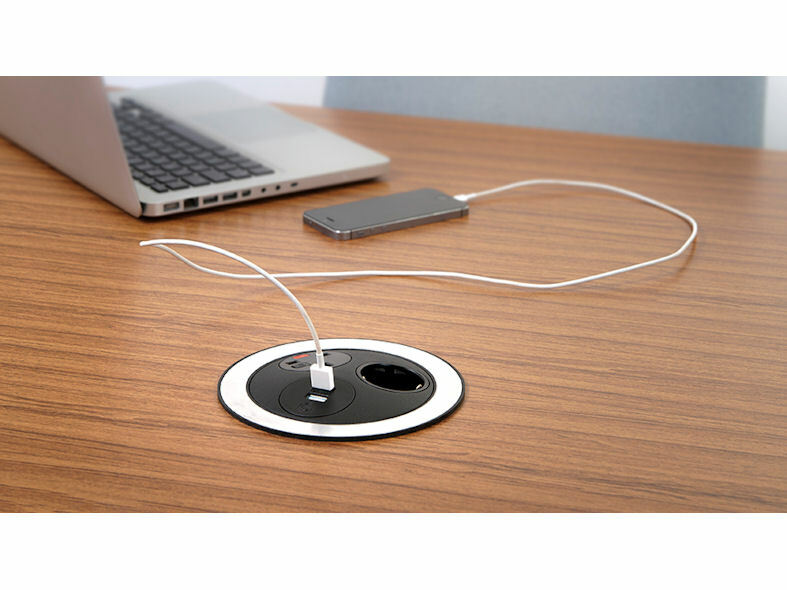 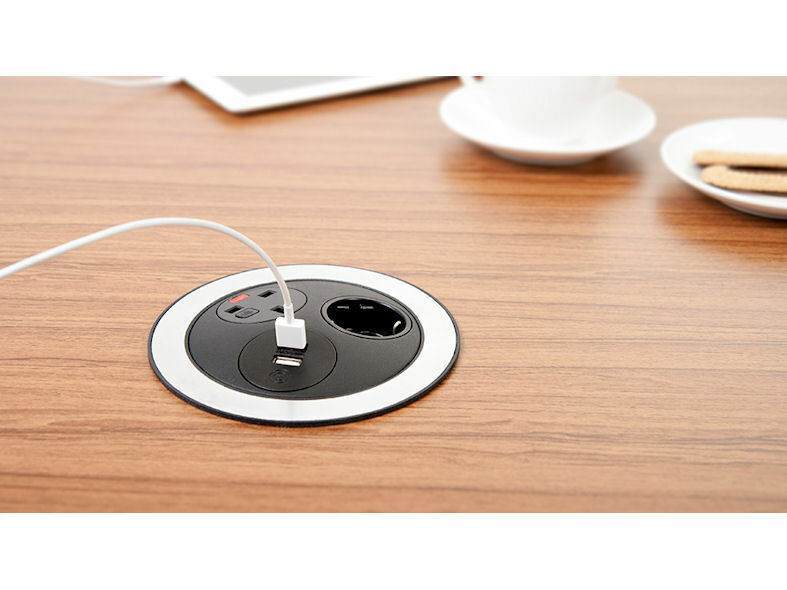 PANDORA is an exciting new solution from OE Electrics for providing power and USB charging in meeting areas. 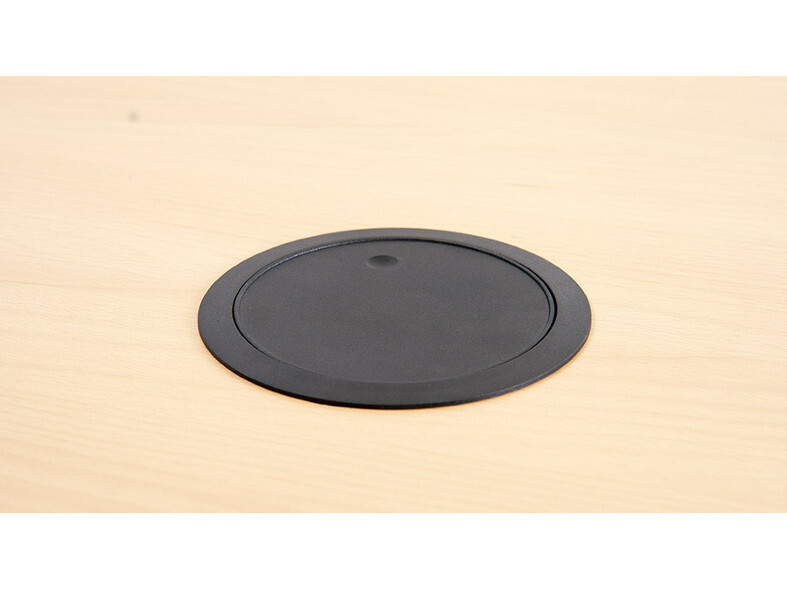 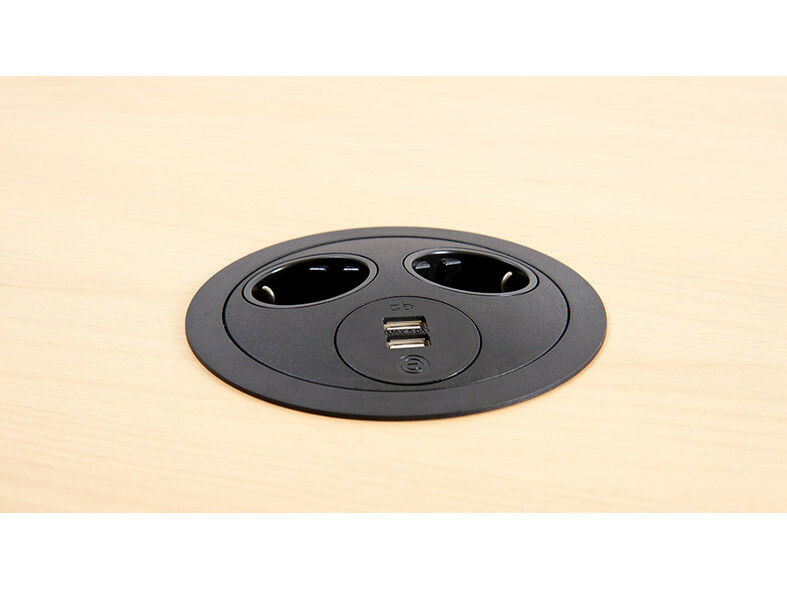 Fitting neatly into a 128mm grommet hole with a near flush profile when closed, Pandora rotates open to provide 360° socket access. 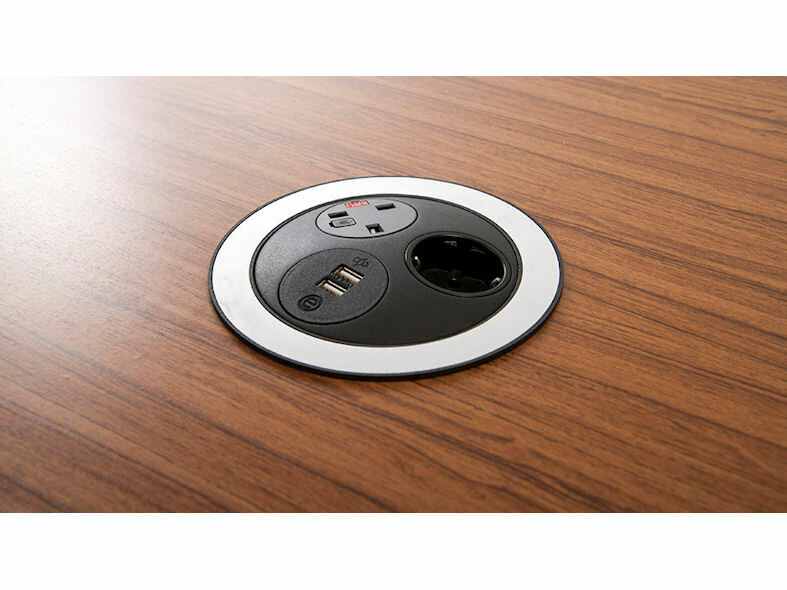 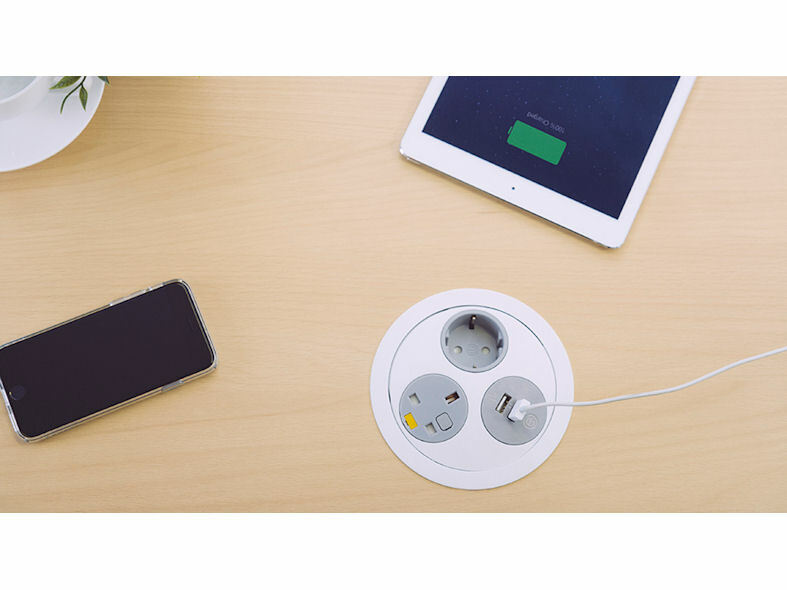 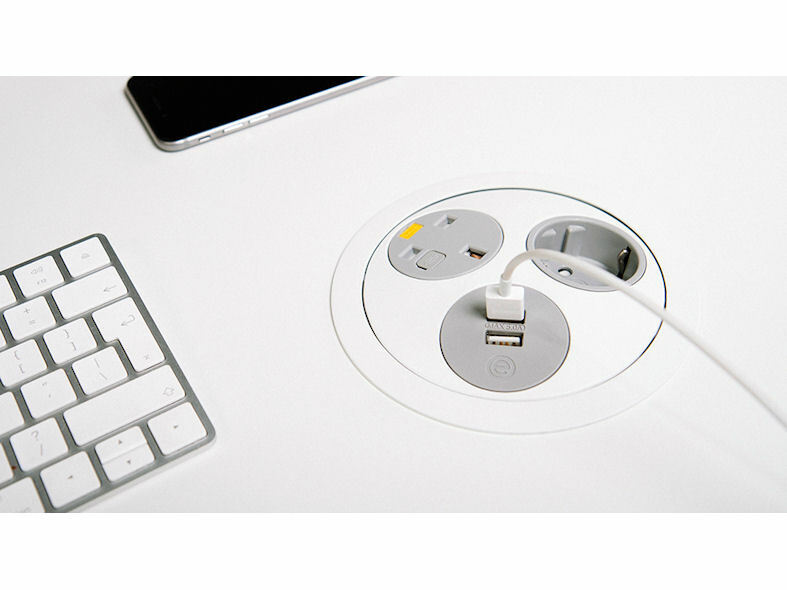 Great looks, simple installation and a choice of international socket options plus of course our class leading 5A TUF, makes Pandora perfectly suited to meeting tables, informal break out areas, and use in cafes and hotels . 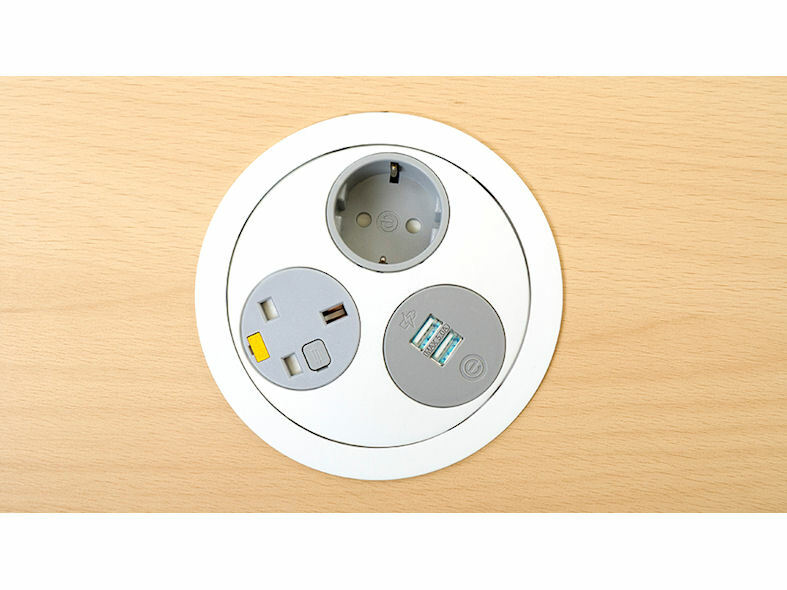 Pandora is moulded in either white (9003) or black PC/ABS for both excellent durability and appearance. 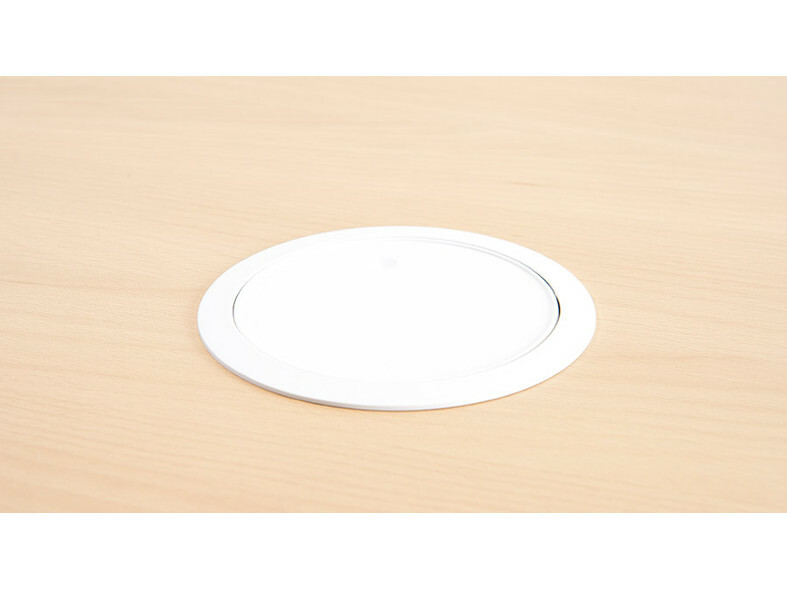 As an alternative to the standard textured finish, the clean profile of Pandora when not in use can be enhanced by optional brushed stainless steel inlays.